Compare pricing for limo service in Fayetteville NC. Car service, transportation and limo rentals near Fayetteville NC. Price4Limo has over 12,000 vehicles in our inventory with photos and prices for you to choose for your transportation needs. Getting a free quote takes less than 30 seconds and no email is required! Limo Service Fayetteville NC. Limo Service Fayetteville wants you to arrive with style! We bring affordable limo rentals to the metropolitan area, as well as surrounding cities like Cameron, Shannon, Rex, Wade, Parkton, Hope Mills, Cumberland, Lumber Bridge, Linden, Fort Bragg, Red Springs and Pope Army Airfield. Call us to book the best limo Fayetteville, NC has to offer! 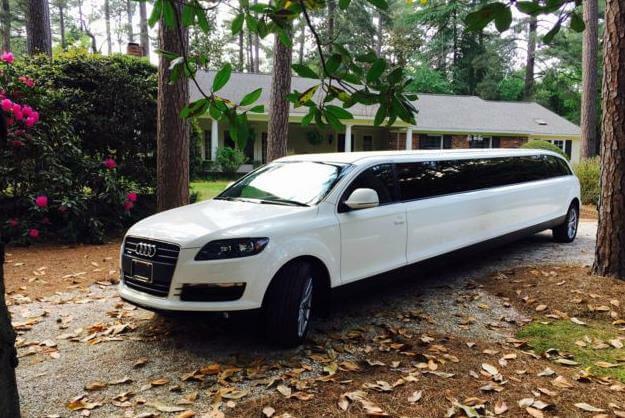 Fayetteville NC Limo Rental will represent your firm in all your upscale travel rentals. Clients will be impressed when you provide airport pickup, and your staff can continue discussions en route to the conference or convention when they’re traveling in a Lincoln Stretch or an elegant Chrysler 300 Stretch. 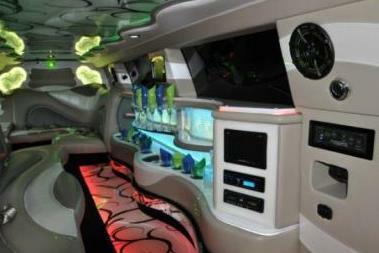 There are so many occasions that are enhanced by limousine service - proms and graduations, birthdays and bar mitzvahs. Anniversary dinner at Griller Ginger or Hilltop House Restaurant and dancing at Secrets is unforgettable when you sip champagne in your chauffeured limousine along the way. Girls’ day out for shopping and lunch or a day of spa treatments and wine-tasting are a great way to celebrate a birthday. And we offer many models in white, perfect as the crowning touch for wedding plans. We offer an extensive line of classic and stretch limos, and we provide a variety of limo buses to 28301, 28306, 28314 and surrounding addresses. 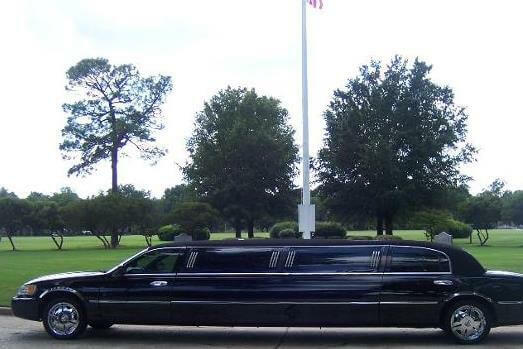 Fayetteville NC Limos has built a reputation for providing the most luxurious and immaculate limousine service; and our customer satisfaction rate is unparalleled. Let us help you find the best limo prices, whatever model and size you choose. Don't roll solo like a cowboy, book a limo and ride out with your friends! Located in south-central North Carolina, Fayetteville is well-placed about an hour from the state’s capital Raleigh. Fayetteville is Cumberland County’s seat and is famous as the home of U.S. Army’s Fort Bragg, a post for elite paratroopers. Wade, Autryville and Hope Mills are bordering communities. This is a classic southern city, with a rich culture and heritage; but one of its most popular attractions - The Airborne and Special Operations Museum - is also one of the most recently added. Here you’ll view exhibits about the history and contributions of the armed forces. There are other military-related museums and landmarks; but the city also honors and nurtures its arts and children. The Children’s Museum, the Fayetteville Museum of Art, numerous theaters and theatres offer exhibits, hands-on adventures, performances and showings. Sports are prevalent here, and there’s certainly no lack of dining, shopping, nightclubs and bars, music and other entertainment options. When you and your friends want to hit the party scene in style, check out our elite line of limo buses, like the Escalade and Hummer Limo. Up to 50 people can travel in style, making an entrance at Cadillac Ranch Nightclub or Alias Night Club or Knokkers. A Range Rover Limo from Fayetteville North Carolina Limo is perfect for concerts at The Rock Shop Musical Hall, a night of dancing and drinks at Sparky’s or a “road trip” to support your favorite team and sporting event. Whatever your occasion, and wherever you want to go, we can get you the best limo quotes in the area. We’re just a call or a click away, 24 hours a day. So you’re sure to have superior service from a reputable agency when you book with us.